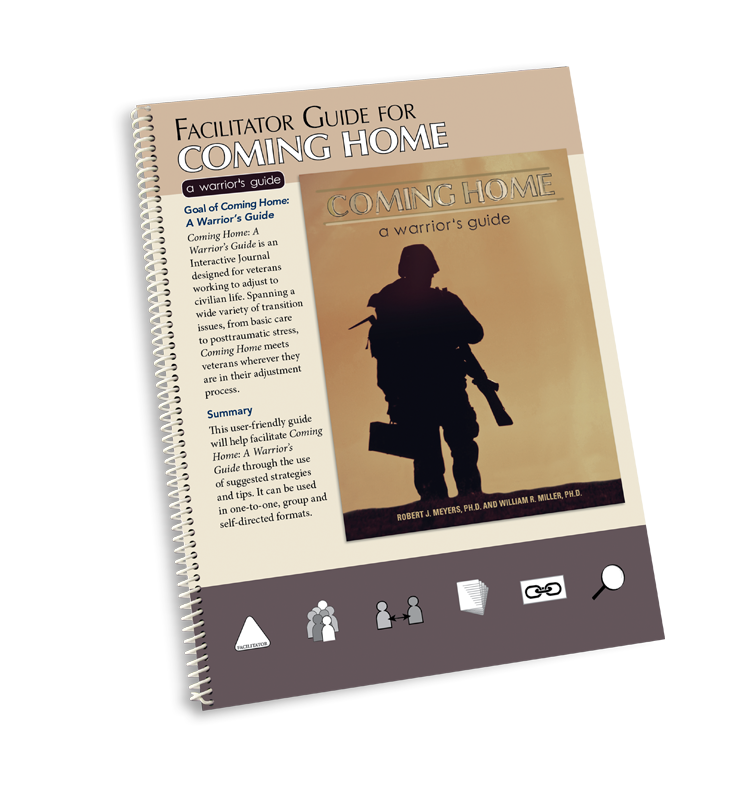 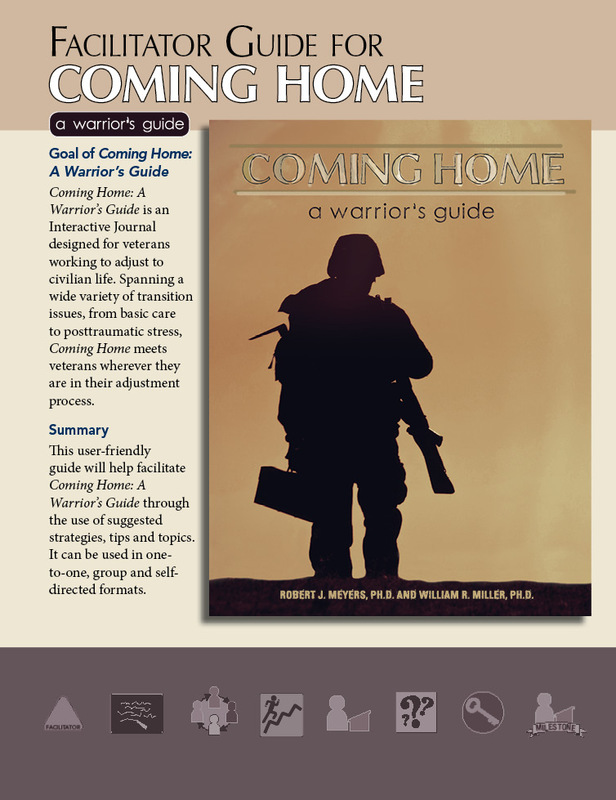 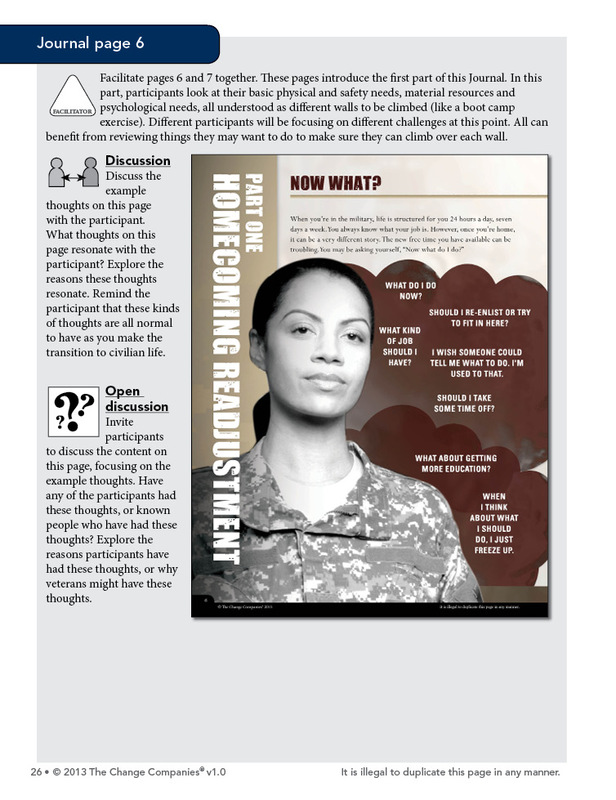 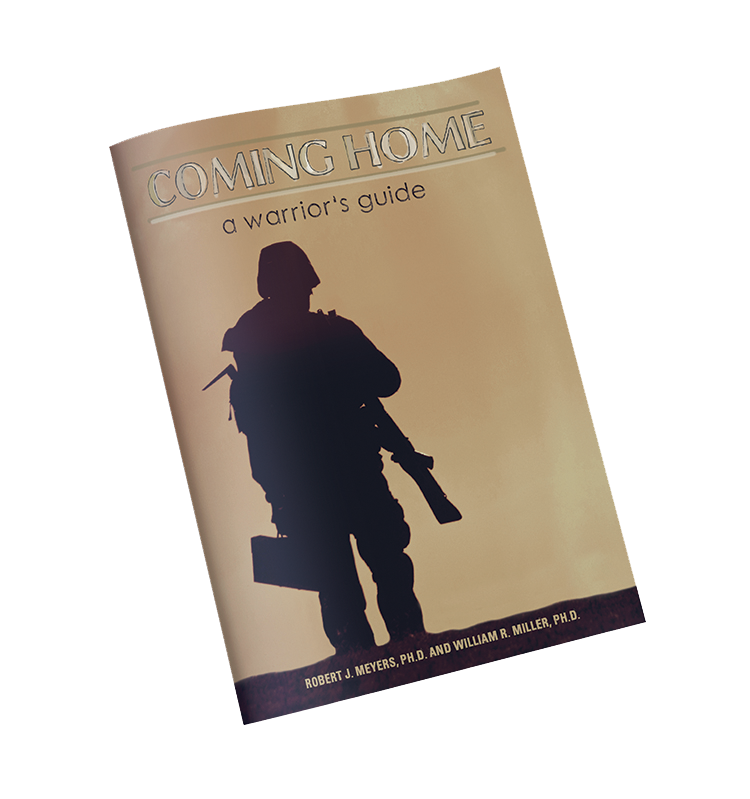 The Facilitator Guide for Coming Home: A Warrior's Guide is designed to strengthen facilitation of A Warrior's Guide. 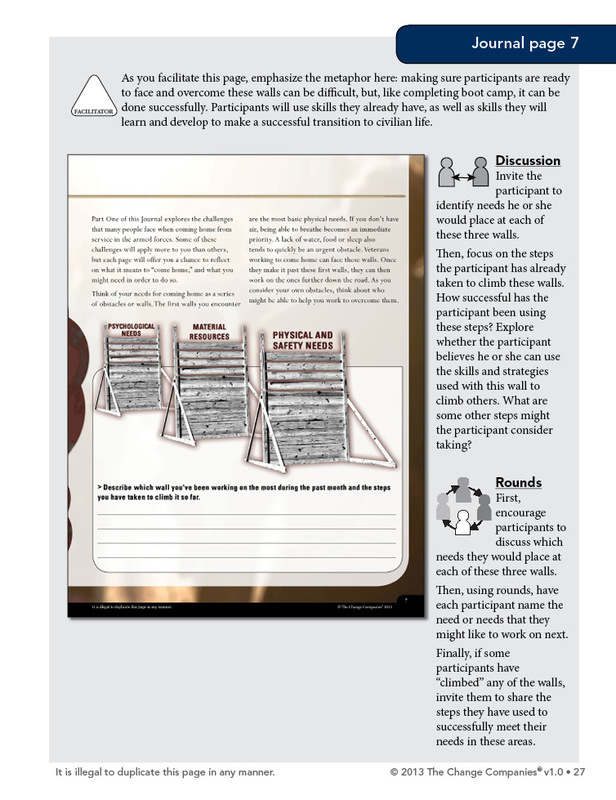 Enhance facilitation with this Guide, including detailed strategies for approaching each Journal page. 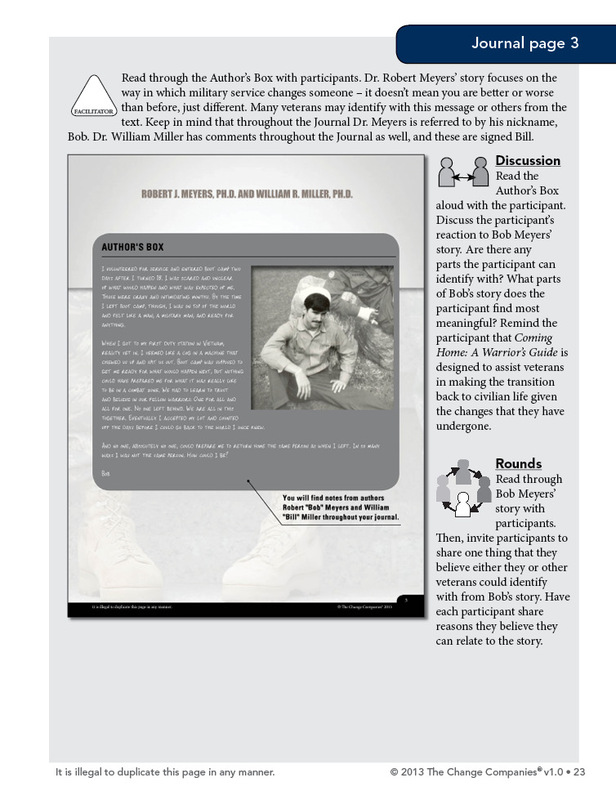 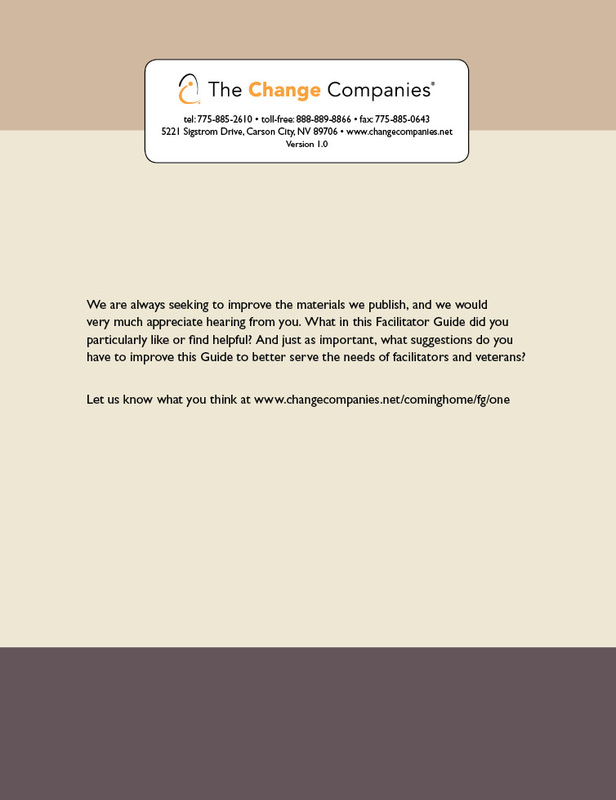 Transform your work with participants through tips and recommendations for all steps of facilitation, including introducing the Journal, providing it to clients for use independently, and approaching the unique needs of veterans in individual or group facilitation.